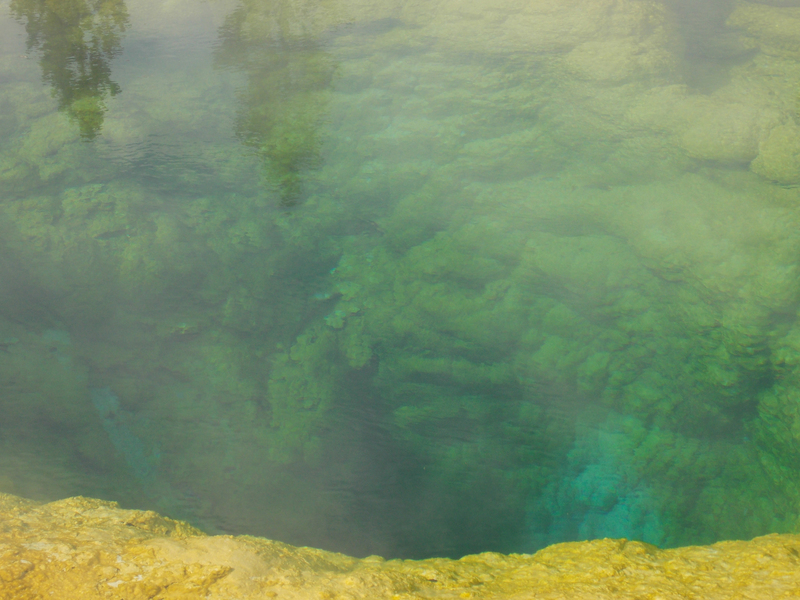 At Yellowstone, the earth’s skin is thin. Parked atop a massive volcano, the Park’s thermal features include colorful pools, spouting geysers, and bubbling mud pots. Visitors can explore the Park’s over 2 million acres via the 144-miles figure eight-shaped Grand Loop, stopping to hike any of the more than 1,100 miles of trails. In most prime viewing areas, boardwalks protect hikers from breaking through the earth’s thin crust. During our 40th anniversary trip, David and I took time to stop and smell the sulfur. On our honeymoon 40 years ago, we were one of the young couples rushing through the Park, racing over the boardwalks and zipping past old folks. This time we were the old folks. But we saw more of the Park and enjoyed it more than ever before. We took time to take pictures of other people for them, and sometimes they reciprocated. We talked to the occasional other English-speaking tourist (on nearly every walk, we heard three or four different languages). 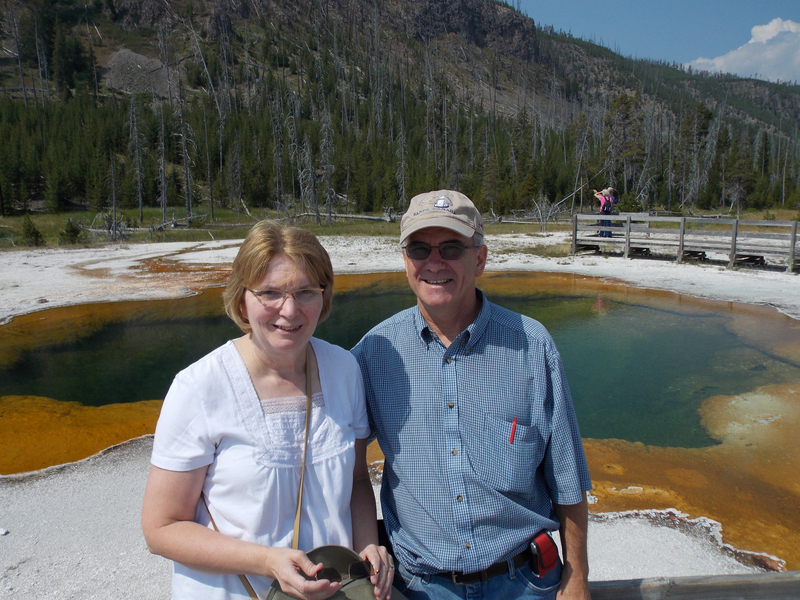 On a day when we visited the geyser basins between Old Faithful Inn and Norris, we spoke with a pleasant woman who was also marking 40 years of marriage. But she walked the trails alone. Her husband sat in the car, suffering from dementia, and her twenty-something grandson, who accompanied them, conveyed through every word and action how little he wanted to be there. David and I had been having an enjoyable time together, but after speaking with her we were overwhelmed by our awareness of God’s abundant blessings. 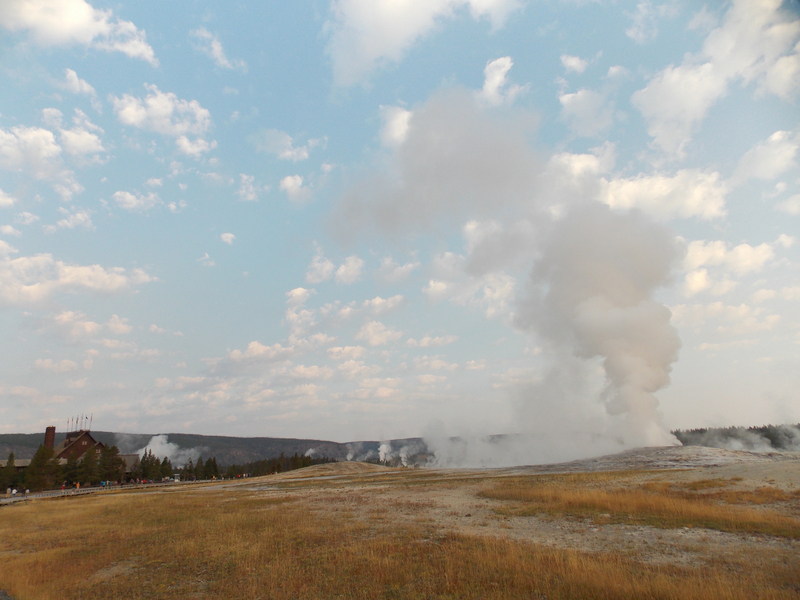 How many of us, like the earth at Yellowstone, have thin skin? We are too sensitive to perceived slights or criticism. We too easily allow hot anger to erupt, scalding others. How thin is your skin?